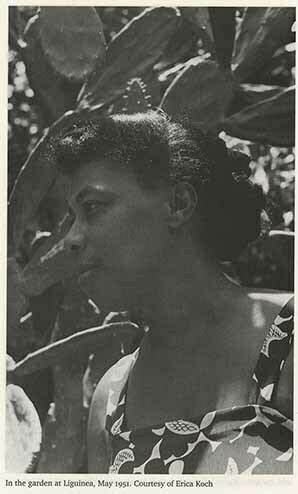 Described as the "earliest female poet of significance to emerge in West Indian Poetry," Una Maud Victoria Marson is regarded by many as a pioneer, (Lloyd Brown, 1978). As a journalist, author, broadcaster, poet and playwright, Marson's literary endeavours mainly addressed issues of race and gender. Interestingly, even though she worked with the likes of C.L.R. James, Haile Selassie I and George Orwell, Marson's legacy remains "critically neglected" to a vast majority and her name is often missing from accounts of the development of Caribbean literature and political activism. Described as a black nationalist, feminist and social activist, Marson worked in Jamaica and United Kingdom where she resided from 1932 to 1936 and 1938 to 1946. Her work in London facilitated the introduction and subsequent dissemination of Caribbean literature in that hemisphere. This exhibition is aimed at bringing awareness to this little known and underrecognized Jamaican pioneer.